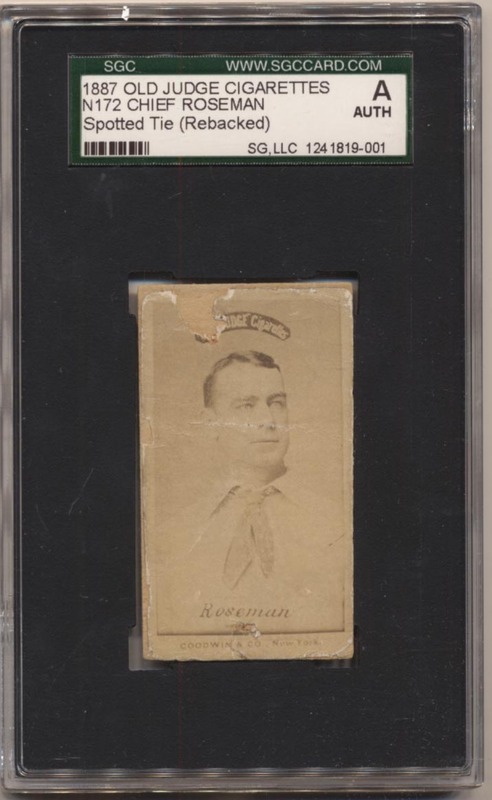 One of the original New York Met (Metropolitans), this is a very desirable and rare card. Rebacked, this also has a chip by the top border. This card is certainly not for the condition conscious collector but how often do these come around?